Cold weather and vehicle performance aren’t necessarily the best of friends. “Every mile is two in winter.” That quote is attributed to the English poet George Herbert. Even though he wasn’t referring to driving an SUV with heated leather seats, his philosophy still applies today. Winters can be hard, cold, long, and dark. One of the problems with winter is that things tend to stop working. Whether it’s an aging, cracked serpentine belt on your vehicle or the sticky lock on your home’s front door, things just tend to break more often in winter’s unforgiving cold. This is particularly true if the mechanical system or component is in an already weakened state due to age, wear, or neglect. Luckily, there are solutions that make our lives easier during the winter – even if you’re only in a cold climate for the weekend. While you’ve probably heard of several, if not all of the solutions below, if you’re not already using them or planning to you, may want to reconsider before the snow flies and the temperature falls. Winter’s hard. Why make it harder? 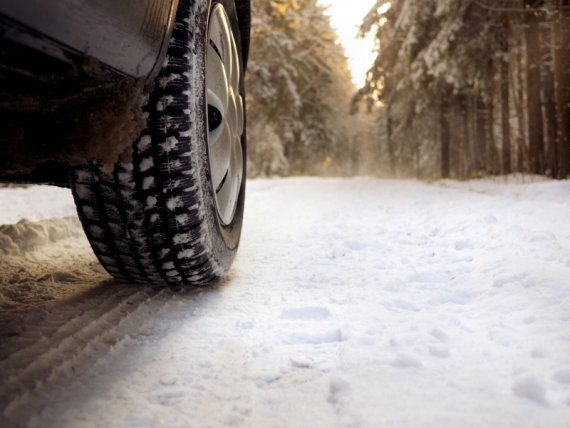 Here are nine inventions that make winter more tolerable for you and your vehicle. Car windows tend to frost over when exposed to winter elements. You can sit and wait for your car to warm up enough to defrost the windows or you scrape the ice from your windows. Or you can you can fill your windshield washer tank with deicer. A few squirts on a frosted windshield and the ice-melting chemical formula instantly clears your windshield. If you really want to save some time and energy this winter, prevent the elements from ever collecting on your vehicle – use a cover. There are two types: formfitting fabric car covers that go over the entire vehicle and smaller window covers for just the windshield. Car covers are water-resistant and breathable. Simply pull the cover off and the frost or snow comes off with it, leaving you with a clean windshield and vehicle instead of brushing off snow and scraping ice. As a bonus, you can use it in summer to protect from damaging UV rays. 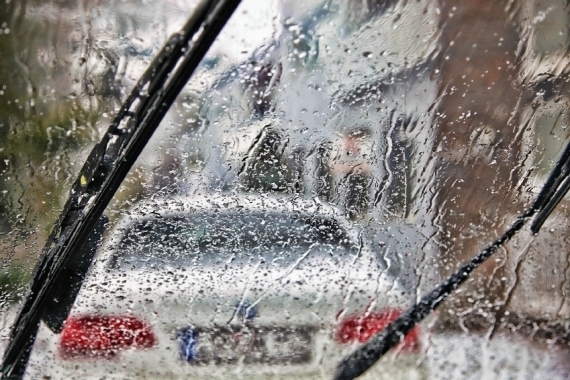 Keeping windshields and sight lines clear is so important and so difficult in winter. Winter blades, with a more rugged metal construction than standard blades, don’t twist or break under snow and ice loads. The rubber wiping element is fully enclosed in a rubber boot or cover that prevents ice and snow from building up on the wiper blade itself. The result is a clear window for increased safety. Snow, water, and even some salt will collect on your shoes this winter, and one of the first places that mess is going to be deposited is on your vehicle’s carpet. Prevent carpet staining and damage with custom-molded floor mats. These mats differ from your standard floor mat in that they feature a lip around the mat’s edge that prevents muck and water from rolling off the mat onto the carpet. And because they are designed to fit your vehicle’s interior exactly, they cover and protect the maximum amount of floor space possible. As the name implies, this chemical and water mixture courses throughout your vehicle’s engine, hoses, and radiator and prevents the engine from freezing in winter and overheating in summer, which is why it’s also called coolant. It’s not optional if you want a functioning vehicle. And it’s not enough just to have the proper level of antifreeze. You must have the right strength and concentration to protect your vehicle below the coldest expected temperature. Check your vehicle manufacturer recommendations if you’re not sure. Gas doesn’t freeze, so why do we need gas line antifreeze? Because there’s often water in gas tanks and lines, which will most certainly freeze. Whether the gas was contaminated at the gas station or by condensation in your vehicle’s gas tank, water in gas isn’t good, particularly in winter when the water freezes and prevents fuel from flowing. Gas line antifreezes remove moisture, prevent gas line freeze ups, and clean fuel injectors and carburetors. Ranking right up there with visibility, traction is one of drivers’ top winter driving concerns. Even if your vehicle has traction control or four-wheel drive, you still won’t have the traction you need with worn or summer tires. Most modern tires are rated as “all-season” and include an M+S designation on the tire sidewall indicating they’re designed to perform well in mud and snow. Performing “well,” however, can be a big difference when compared to performing “great” in snow. Snow tires are designed specifically to deliver traction in snow, both because of their tread pattern and depth, as well as softer rubber compounds used in building the tire. So if you live in an area where you expect to receive a lot of snow, snow tires can deliver an added advantage. Today’s tire chains or snow chains for passenger vehicles are compact and lightweight, making them convenient to store in the trunk and easy to install in just minutes, without having to jack up the vehicle or use tools. Their appeal is the significant improvement they deliver in traction and control on snow-covered roads. You can’t just slap any old set of chains on your vehicle, however. They’re designed specifically to fit specific tire sizes and for certain vehicle weights, so grab the right one for your vehicle. The grimy mixture of snow, salt, and dirt that gets flung onto your windshield and headlights by the vehicle in front of you is both annoying and dangerous when it reduces visibility. Treat the exterior of your windshield and headlights with a product that’s designed to help water and road grime flow off the windshield, improving visibility and making snow and ice removal easier too. Rain-X is a good one. In a pinch, you can apply and remove standard vehicle wax to these surfaces to achieve a similar effect. 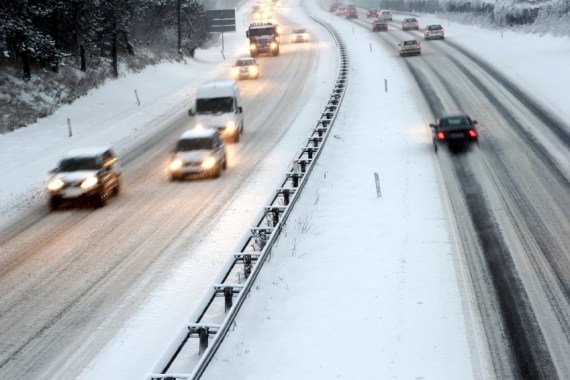 No matter what you think of winter, it’s not difficult to make the season less stressful on both driver and vehicle thanks to these life-saving – or just timesaving – inventions. Don’t forget to prepare for unexpected events by carrying an emergency kit around. And of course, take your car to your trusted technician for some important winter-related maintenance items.